Here's a list of some of the most popular destinations and places to see in Vigan. ✈ For those who have visited Vigan many times, I will reintroduce to you these places from the perspective of a homegrown Bigueño. 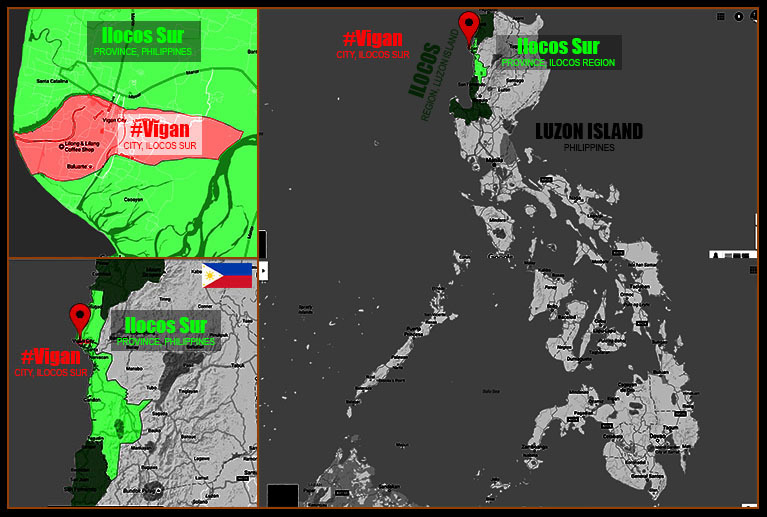 ✈ For first-timers, you may check this out to help you plan a Vigan trip. Vigan—my hometown—is a UNESCO world heritage site and one of the New7Wonder Cities of the world. I created this list as an introduction to first-time visitors and a reintroduction to former visitors hoping you'll come back. Well, Vigan is just a small, compact city that is easy to explore. However, it's a different story when you want to feel its true culture and heritage—you have to stay longer if that's the case. Here's a list of some of the most popular destinations and places to see in Vigan. Although there are tour services that could offer best deals for Vigan packages, allow me to help you plan your trip through this post. For those who have visited Vigan many times, I will reintroduce to you these places from the perspective of a homegrown Bigueño. I will also add some little narratives for each destination here to break the 'listicle' monotony and make it more personal and insightful. Please bear with that. 😄 Without too much ado, let's begin this list. 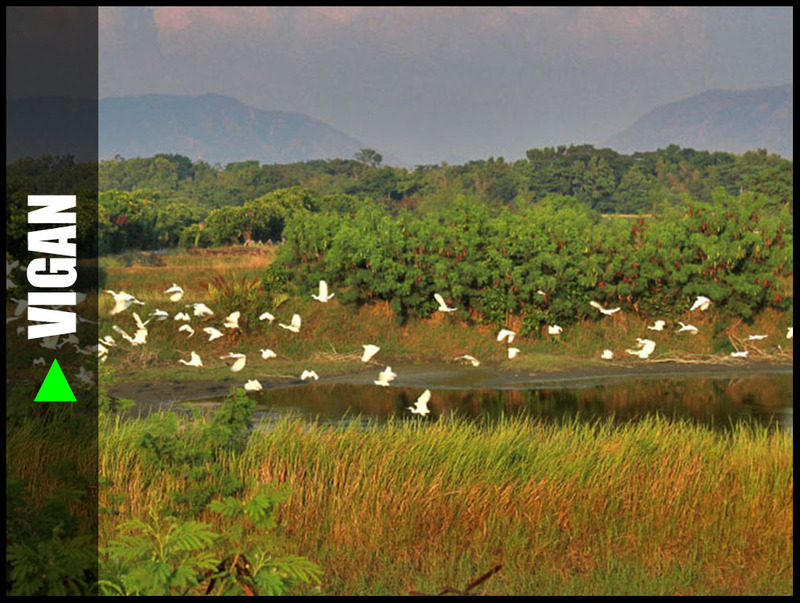 Flocks of white egrets found home in Brgy Mindoro. They occupy the seasonal swamps. With the Ilocos mountain ranges at the background, they decorate the sky with colors of peace and purity. This site may not be the most popular attraction in Vigan but let's view Vigan in a different perspective. Well, bird watching is not as popular as beach bumming, food tripping, or mountain hiking. However, there's a group of people who will surely love this—the bird watching enthusiasts. The area surrounding the northern part of the Vigan Airport in Brgy Mindoro are swamps. Well, don't expect too much bird variety. It's not a forest anyway. The swamps attract flocks of white egrets. Be cautious though, you may drive them away if you're a little careless or aggressive. Situated near the St Paul Metropolitan Cathedral, the capitol, and the plaza, the city hall lives its rightful purpose with both the Spanish colonial urban planning and Vigan architecture attached in its glory. Don't forget to witness the "paandar" of the Vigan City Hall every Christmas season. The city government has done yearly surprises from a rotating Christmas tree to a digital laser show with the façade as the backdrop. As I said, there is a "pasabog" every year. As a homegrown Bigueño, I consider the city hall as an epitome of an old soul with a constant change. It has withstood the tests of time. Its façade has been modified since then and has been painted with blue, cream, and white to name a few. Its façade is annually decorated with new designs and artistic crafts but its old soul remains. It's still our city hall after all. Its heartbeat never changed, just the façade. It remains to safeguard our civil identities, our birth certificates, our tax profiles and sometime in the past, my Vigan photos have been posted in one of its bulletin boards. I frequented this hall when I was still in college because I was once a city scholor (Iskolar ng Vigan) and I have to report here to get my allowance, to process my free tuition fee, and to perform my duties as a scholar. By the way, thanks Vigan for investing in me (I'm pretty sure some workers or elected officials from the city hall will be reading this). I will always be proud to be a hometown boy, doing something for Vigan on my own little way for her to be known, to be loved, and to be desired by more people like what my city made me feel when I was still a student of the University of Northern Philippines. Speaking of being a city scholar, the very first winner of the Boklan (seeds) Arts competition of the Viva Vigan Festival of the Arts was the work of a great artist (I forgot his name) and me together with a fellow scholar (during my college days). Basically, we made history for being the first. Our artwork used to be displayed in a gallery in VCTC then it was transferred to the Vigan Convention Center. Right now, I don't know where they've put it. I hope it's still surviving because the last time I saw it, insects locally called "bukbok" have started consuming the seeds. Our former governor Chavit Singson is a fan of wild exotic animals. His collection grew. From lions to tigers, his 'wild' toys have expanded in great number and variety. 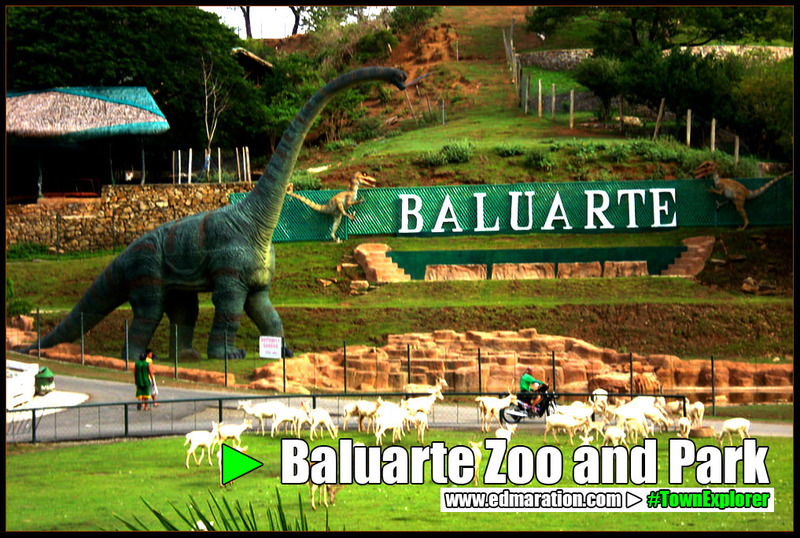 His once private home turned into a public park and zoo now called Baluarte. Baluarte features a multiple daily animal show/encounter, pony riding, event venues, souvenir shops, a golden tower, a butterfly garden, and rumors say a world-class waterpark with dolphin show is opening soon. I've witnessed the dramatic change of Baluarte and it continues to improve. Lately, a taxidermy museum/gallery features bizarre and jaw-dropping wild animal species all in one roof. 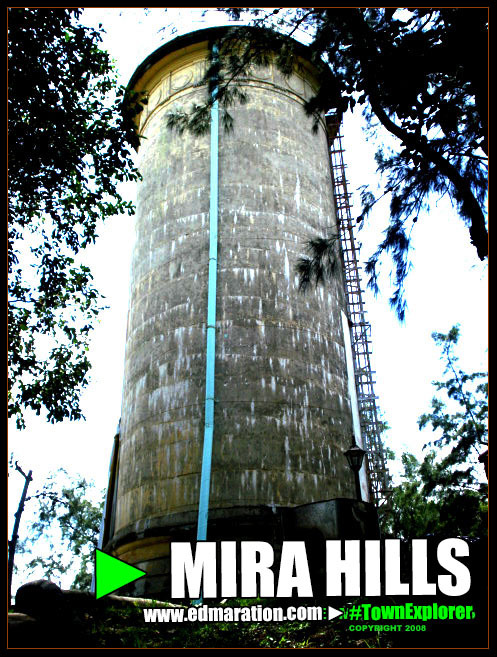 Mira Hills (collective noun) is the highest point in Vigan poblacion. In a fast-growing tourism-fueled city, the natural landscape of Vigan has constantly been modified or replaced by new developments. Thanks to Mira Hills, it's the only remaining ecopark within the central business district. It's the last one standing in harmonizing the relationship between concrete development and nature preservation. Mira Hills is also known as the Filipino-Spanish Friendship Park. Its main feature is the American-era water reservoir that supplies the city and its neighboring towns. For your information, this towering reservoir could be seen from Iocos Sur National High School and fellow ISNHS students would be able to relate if I say that "we" students of ISNHS at least attempted to climb this tower, aren't we? Yup, we once dreamed to climb this but only a handful brave few made it to the top. Aside from that, ISNHS students would go here for 'dating' and fellow ISNHS alumni could relate to this. Mira Hills is not popular for tourists but very popular for the locals. Thank God, there's a 'pasyalan' in Vigan devoid of tourists and I love it. Although some tourists have been visiting this place, majority of the people here would likely be the locals attending public events or group parties. Whenever I feel the need to go back to the old Vigan wherein I don't feel the need to deal with tourists, I go to Mira Hills because it makes me feel the old Vigan I used to know back when I was a child. There were some improvements done though but it didn't significantly change. It's still the old Mira Hills park I used to know. So for tourists planning to visit this place, there's nothing to do or see here. Do not enter. Just kidding! Well, Mira Hills is a picnic park that features a swimming pool, an amphitheater for outdoor activities and the Buridek Museum. Entrance fee is 15pesos per head. Overnight camping or events are not allowed unless you secured a special permit from the management stationed near the entrance gate. Vigan LGU also transformed this park into a child-friendly park (hence the Buridek Museum, a museum for kids, and some child-friendly outdoor activities) as part of its endeavors to maintain Vigan as a child-friendly city. Vigan is a national awardee for "the most child-friendly city in the Philippines". Wear or use our abel products and be part of our long history of craftsmanship. 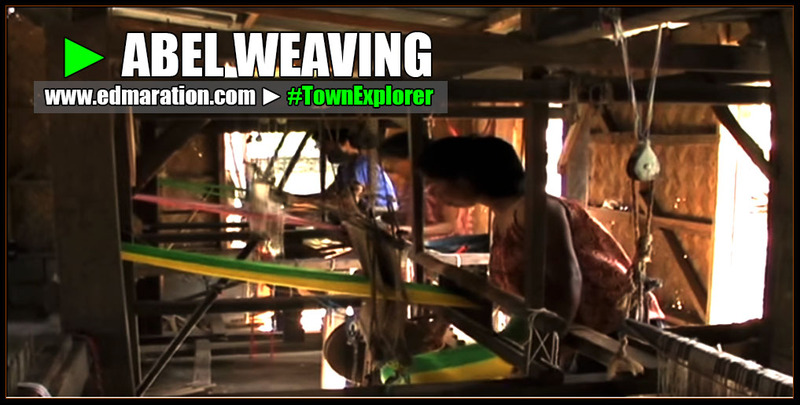 Some barangays that still have abel weavers are Mindoro, San Pedro and Camangaan. Walking down Calle Crisologo, the abel-weaving industry may seem so alive because of the numerous stores selling abel clothes. But as a Vigan resident-observer, the main players mostly keep it alive. The smaller weavers who have no capital to make it big have stopped weaving. It would be safe to say this because my great grandmother was an abel-weaver too. No one in the family inherited the skills because it's not profitable anymore especially when you do not have the capital and entrepreneurial skills to tap the tourist market. Some small weavers have stopped the long tradition in the coming of a better and more stable alternative income. Some opted to continue though because it's basically their primary source of income. The bigger players actually hire and train weavers for mass production. At least, abel-weaving is still breathing, never a dead industry. In fact, the industry even expanded its market I must say. If you want to witness an actual session, head to Cristy's loomweaving center in Brgy Camangaan. The Arzobispado Nueva Segovia is the only Spanish-era archbishop palace in the Philippines, probably in South East Asia too (I theorize) since the Philippines fell under the hands of the Spanish empire that spread Roman Catholicism. The rest of SEA is not predominantly Christian except for the later sovereign state of East Timor. This old grand structure is simply called 'palacio' locally which literally means 'palace'. It's a very historical building overshadowed by the touristy Calle Crisologo. It has become the headquarter of Gen Emilio Aguinaldo (first Philippine president) in 1898 and of Col James Parker (of the invading American forces) in 1899. The convent's rear has access to the Govantes River as an easy escape by sea back in the days when Vigan was still a busy shipping port. Now, Govantes River is no longer navigable by large ships. This old building also has a museum with a throne room featuring mainly religious relics. Local stakeholders are turning their eyes to Govantes River with the inception of the boating park. Touristy as it may seem but at least people are becoming more aware of the existence of Govantes River. Once a busy shipping portal, Govantes River crept into oblivion. Some locals don't even know the river's name. Some may have heard about its name but they don't know where to exactly find it. With the great efforts the LGU is doing to bring back the glory of important sites and places that played a role in Vigan's rich and colorful historical past, Govantes River is back on track. Its water quality may have gone worse but efforts are now done to revive its old glory. Dredging, improvements and river clean-up have started. Bridges that goes over it were redesigned the way it was made in the past to accommodate navigating vessels. How I wish this river becomes a busy shipping portal again (wishful thinking). Bashers, self-proclaimed tourism icons/experts, and some intellectuals may claim that the boating park is so touristy or just a Burnham Park copycat. However, for a homegrown local like me, I find this exciting. Touristy as it may seem but Govantes River is reintroducing itself to us, Ilocanos/Bigueños (not for the intellectual self-proclaimed non-Ilocano tourism advocates/experts). We see this river daily but like a stone beside a road, many seemed not to care because of its bad reputation of having a dirty water or the home for Hollywood (this refers to an area in Vigan near the Govantes River with illegal settlers). It's known for the wrong reason. With the start of boating activities here, I have high hopes that more Vigan residents will start appreciating the river for the right reason and that more people will start sharing on social media of their visit here. I hope and pray that our LGU will revive its glory and continue the improvements they have started. Actually, Govantes River is the 'face' of Vigan. It's the first river you're gonna see when entering the Vigan city proper from the National Highway. I'm imagining those days when the Spaniards saw this river for the first time. Did they swim? After all, so many historical events happened here and this section is not enough to mention them all (worthy for a separate series of posts). From the boating park, here's a food park. Of course, Vigan is not only busy preserving its past, it's also catching up with the latest lifestyle trends of the modern world. The Sitio Food Park is the first urban food park in Northern Luzon. How come it's a tourist spot? You might ask. Tourist spot is a broad concept. Like me, I consider the big malls of Metro Manila as tourist spots because we don't have that scale back home. In this case, it's a tourist spot for food park loving foodies. It's pricey on my personal point of view but if food parks are your passion, I know you won't care for the price as much as I don't care for the price of the boat that will lead me to a childhood island dream. After all, we spend our money for the things we are passionate about (aside from our basic needs), right? If you are familiar of the GOMBURZA squad, BUR stands for Padre Jose Burgos who was born in Vigan. Their role in the history of the Philippines was so poignant that they had to shed blood and sacrifice their lives for the freedom of the Philippines and of its future generation. That selfless act still triggers the nationalism in my nerves every time I think about it. As a child, I used to see his house as a regular ancestral house in Vigan. But as I became more acquainted of the culture and rich heritage that me, my family, and my ancestors carried through the years, I started to appreciate the importance of every ancestral house in Vigan, not just the Burgos House. But what makes this house very special is the Ilocano heroism that occupies its intangible corners. The house has undergone series of renovation. I've seen how it almost gave up. I've seen its worst years when the house faced threats of collapse due to poor maintenance. Thank God the National Museum released funding to renovate it. It's now part of a bigger museum complex called the National Museum Ilocos Regional Complex. Burgos House features the old Ilocano way of life, the Vigan history in visuals and dioramas, the culture of the Itneg people (who traded with the Ilocanos), and an excellent picture of how the interior design of a typical Spanish-era house worked that time. You'll surely appreciate how the colonial elites lived and managed their big mansions. Elpidio Quirino is the first of the three Ilocano presidents to serve the Philippines—before Ferdinand Marcos and his cousin Fidel Ramos took into power. Pres Quirino was born in a jail because his father was the provincial warden then. Although Quirino (called ápo Pidiong locally) was from the adjacent town of Caoayan, he was born in Vigan. The jail where he was born served its purpose to contain convicts until just recently when it was handed over to the National Museum to put up its Ilocos Regional Museum Complex. Basically, the Padre Burgos house is just beside the jail. I was able to visit the old prison back when it was still housing felons so I was surprised to see how it transformed from a congested jail into a state-of-the-art museum with air-conditioned rooms, galleries, and educational visuals. The Quirino memorabilia were also transfered here. His bed, collection of 'baston' (cane), and sepia prints of the peak of his political career were here. Good job, National Museum! The memory of our great Ilocano president lives on! Jar-making in Vigan is an industry we inherited from Sangleys (mainly Hokkien-speaking Chinese traders who came from China's Fujian province) who settled in Vigan. These Chinese now consider themselves Ilocanos, culturally. They speak Ilocano too. They practice mixed Ilocano and Chinese customs and intermarried with Ilocanos. Burnay (local name for Vigan-produced jars) is a cultural product inherited by Bigueños from their ancestors centuries ago. This industry is one of the reasons why Vigan is a UNESCO World Heritage City. The heritage that we have is not just about the old houses standing in the midst of the modern world, it encompasses too the mixture of different cultures that shaped our way of life. Think about Georgetown (Malaysia), it's a city shaped by three harmonizing cultures—Indian, Malay, Chinese. In Vigan, it was also shaped by three cultural influences—Ilocano, Chinese, Hispanic—being Chinese as the common denominator of the two cities. Head to Brgy Pagburnayan and visit the RG Jar Factory, one of the few remaining jar factories in Vigan. The greatness and hugeness of this mansion is a testament that some Vigan residents in the past were insanely rich. Their wealth is said to be linked with the Galleon trade. Syquia Mansion dwarfs all the old mansions and ancestral houses near and around it. This was the house of the Syquia family (of Chinese ancestry). Alicia Syquia was married to Elpidio Quirino (ápo Pidiong) who later became the first Ilocano president of the Philippines. During the presidency of ápo Pidiong, this mansion served as the Malacañang of the North. The furniture, relics, and paintings inside the mansion gave me goosebumps when I learned about them because of the stories linked to them. One of the relics here was a gift of the emperor of China inherited from the Ming dynasty. I was told it was the highest gift an emperor could give to a person as a sign of respect and honor. I saw the 'gift' and it was carved with a dragon with 5 fingers (Chinese symbol of highest honor per Ming Dynasty standard). It was made of bronze. For security reasons, I'm not going to give a hint on how that 'gift' looks like because it is literally priceless. The caretaker of the mansion who happened to be a descendant of the Syquia clan used to narrate all the unbelievable (yet true) stories covering every item inside the mansion but he decided to taper down the story-telling nowadays because the priceless items became the interest of thieves. Up to date, the caretaker is also the tour guide (interestingly, I once handled him as my patient). For an entrance fee of 20 pesos (fee for maintenance since this is a private property), you could learn many interesting stories and awesome facts, though the most extreme, immensely awesome information are no longer disclosed to general tourists to stray thieves away. If you want to learn more about the life of Pres Quirino, don't miss checking out this mansion. It actually tells more than the life story of our great Ilocano president, it also immortalizes the elite life of Spanish-era Ilocanos. The architecture, the interior design and layout of the house, and the historical items inside perfectly depict one of the best examples of the old-school "sosyal". Feel the old life while you learn the old ways in Syquia Mansion. It's so far the best ancestral house I've seen and it has set the bar high for me so I don't usually get impressed with ancestral houses, unless they satisfy the standard of my ego dictated by Syquia Mansion. It's like when I experienced the beaches of Palawan, my standard of a beautiful beach changed. Before I saw Palawan, I was very proud of the 'best' beach here in Ilocos Sur but when I experienced Palawan, that beach I used to adore gave me reaction like, "Ah, ok. Next!" The foregoing explains my standard for a beautiful ancestral house—full of meaningful history and stories that cover each item you see from the floor, to the walls, to the ceiling. The present-day street where the Syquia Mansion is located was named after Pres Quirino—the Quirino Boulevard. The boulevard connects Vigan to the heart of Caoayan, the hometown of the late president Quirino. From the likes of Pres Quirino, there were also other great Ilocano men in our history who rocked the local political scene. One of them is Floro Crisologo whose greatest contribution is the Social Security System law. His assassination inside the Vigan Cathedral made headlines in national media, hence, his subsequent popularity those times. The bloody clothes he wore when he was assassinated were preserved. It was displayed inside his house, now Crisologo Museum. Do check it out when you visit this museum! Crisologo Museum mainly features the life and works of Floro Crisologo. Hidden Garden is no way hiding. Aside from the variety of plants that can be seen here, it also features the terracotta industry of Vigan. The terracotta or earthenware products in Vigan are locally called "damili". If the Mestizo District is usually referred as the Heritage Village, we also have the Damili Village, referring mainly to Brgy Bulála (but I insist to include Ayúsan Sur) where the Hidden Garden is located. This industry is so close to my heart because my maternal grandmother was an unsung 'damili' folk artist. Her creative damili products and designs are considered to be one of the highest in quality in Ayúsan Sur and were very marketable. I've witnessed how my grandmother worked overtime to meet the demands. I've seen the process of damili-making from the time she dug clays up to the time she 'baked' the clay. It was a tedious process and challenging that's why I consider my grandmother as a superwoman. My grandmother is a widow and she raised her eight (8) kids from her damili income, creating products based on clay. Vigan's terracotta industry is still alive in the barangays of Ayúsan Sur and Bulála. My grandmother Genoveva del Castillo y Pilorin (one of the daughters of what was considered to be one of the most favorite barbers of Sangleys [Chinese traders] in post Spanish-era Vigan) developed her skills when she lived in Ayúsan Sur upon marrying my grandfather Ernesto del Castillo y Barcellano, son of a war veteran married to a merchant Andrea "Anding" Barcellano y Arce who became popular in her village because of her skills in befriending the Japanese imperial forces by giving them food while other people in the community were hiding. Our neighbors in Ayúsan Sur are still producing damili but their number has diminished. Some of them died already. Gen X and Millennials are seldom interested to continue the legacy. My mom and her younger sisters/brothers are all trained with the skill of damili-making by creating products such as masitera (plant pot), nardillo (clay-based floor tiles or bricks, the same bricks used to build the Vigan ancestral houses), lúsob (used in creating deep wells), ay-áyam (literally means 'toys' but in context, this refers to miniature cooking tools sold as souvenir items), and others. Sadly, no one in the family continued this business. It was not profitable for us after all and the clay mines have slowly been depleted. There's a specific clay used to create damili by the way. The Hidden Garden is located in Bulála. Most nardillos and lúsob are produced in this barangay, the very core of the Damili Village. If you happened to walk on the sidewalks of Vigan, the red tiles were made in Bulála. In Hidden Garden, earthenwares are sold, aside from plants. Products include terracotta floor tiles, souvenir items, and potteries. Hidden Garden also features a restaurant that offers Ilocano dishes. If you are looking for a place where you could both watch the sunrise and the sunset in Vigan, that would be the Govantes Dike. In Vigan, there are three bridges that connect Vigan to the National Highway but these bridges are locally called daya a dike (for the eastern bridge along Quirino Boulevard), tengnga a dike (for the middle/main bridge connecting Vigan-Bantay Road and Quezon Avenue) and laud a dike (for the western bridge along Rizal Street). You could choose any of these bridges for your sunrise/sunset viewing but the best spot is at the middle bridge (the main bridge near the provincial capitol and Mart1). Just a hint, a growing number of Indian millennials do 'tambay' here in the afternoon until night. These Indians are medicine students of UNP. These are not the kids of Indians who have settled in Vigan. They are purely foreigners who came to Vigan to study Medicine and/or other allied health courses. By the way, the dike is part of the Govantes River. The water may reflect the sky (see photo). Plaza Salcedo was named after Juan de Salcedo, the founder of Vigan under the Spanish flag. Before Vigan became a popular tourist destination, this plaza had a bad reputation when night comes. However, the previous infamy was quickly replaced by raves and beautiful comments from visitors when Vigan's tourism industry started to boom. From then, we Bigueños also started to appreciate the role of this plaza in our history. It's now a public landmark all for the right reasons. The Plaza Salcedo is strategically located in the middle of important edifices—the capitol, the city hall, the Arzobispado Nueva Segovia, the old convent (now replaced by MCDonald's and Plaza Maestro Commercial Complex), the old Rosary College (now Mart1), and the St Paul Metropolitan Cathedral. This plaza used to have a fishpond and a footbridge that connects the two sides (we didn't have to take the long turn to reach the other side before). Gabriela Silang was publicly executed here in September 1763 to warn the people planning to resist that Spanish power. Gabriela Silang is the first woman leader of the Philippine Revolution. Plaza Salcedo is actually the centerpiece of the Spanish urban planning in Vigan. Recently, a world-class dancing fountain show repackaged the image of Plaza Salcedo. After the old public market in Vigan was consumed by fire, we waited long before we had a new one. The photo below is the new public market in its new location operating for almost two decades now. The old public market is now a shopping mall. Located in an area that used to be grass fields, the new public market has stimulated massive growth around this area in a span of 20 years. I'm not yet too old, mind you. 😜 The changes are just clear in my memory because when I was seven years old (studying at Vigan Nan Chong School back then) I started to develop an interest for urbanization and concrete developments. My school building was an ancestral house and I was close to Calle Crisologo. I see old houses everyday so I was curious seeing tall modern buildings in person. I felt a strange good feeling whenever I see new buildings being constructed in Vigan. The taller the building is, the happier I was. It's the same age I developed an interest for maps, atlases, and newspaper clippings of landscape photos of beautiful places. It turned out that those childhood interests were the precursors of my present travel addictions. Anyway, going back to the topic, the Vigan Public Market is the best place to shop because prices are regulated. Aside from that, you'll be able to experience shopping like a local. If you want to purchase an authentic Vigan Longganisa 'hung' the traditional way under steel bars, be here early. Like as early as 6 or 7 AM. They get sold out early. For bagnet, they also flee like a flash. You may still have some in the afternoon but to be sure, come early before everything is gone. The wet market section is located at the second floor. You may also opt to buy vegetables. Oftentimes, you'll see a 'pinakbet package' in the vegetable section—referring to an assorted package of vegetables ready for your pinakbet dish. You no longer need to cut the vegetables, the vendor has done it for you. Just cook. That's real quick pinakbet ingredients—only in Ilocos, where it all started. and dudol to name some. To those looking for abel fabric, go check out the ground floor of module 1. Don't just see Vigan, understand its culture. Leona Florentino is considered to be the greatest Filipina poet, the "mother of Philippine wowen's literature", and the bridge from oral to literary tradition. She is a poet of both the Ilocano and Spanish languages and a monument dedicated for her was erected at the opening of Calle Crisologo and Calle Plaridel. Her works have inspired others to write. Near the monument is the Leona Florentino house now occupied by the famous Cafe Leona and the Provincial Tourism Office of Ilocos Sur. Probably the most photographed street in the Philippines (it's a big claim for me so you can rebut it), it's the 'front' Vigan is known for. The ground floor of the old houses are now souvenir shops, restaurants, bars/club, and coffee shops. Some houses have also turned into hotels/inns. It has changed through the years and I'm pretty sure it will change for the coming years to come. I believe the commercial potential of this street is not yet reaching its peak. There's a bigger potential waiting ahead. The photo above was taken during the Miss Universe 2016/17 event in Vigan where the candidates made Calle Crisologo their runway. I personally chose that photo to emphasize that Calle Crisologo is now becoming an icon. Photos of this street are everywhere right? Sometimes, it represents the Philippines in the international community. Both International and National events have been staged in this street including Miss Universe and the World Costume Festival. So I'm not going to describe Calle Crisologo like what most people have written in the internet. It's the same description over and over again—cobblestone street, laid back, touristy, nostalgic, commercialized, etc. The thing is, it's no longer just a tourist spot for us, it's a global success symbol anchored in heritage preservation—the very reason why Vigan was recognized globally. Just a hint: If you would like to see and feel how the Calle Crisologo looked like before the arrival of tourists, head to the adjacent streets of Calle Plaridel or Calle de los Reyes. Not the perfect picture of how Calle Crisologo used to look before but at least you have an idea. These streets depict the true Vigan life happening in the big ancestral mansions. The local Ilocano-Chinese businessmen operate without pretensions. They own most of the ancestral houses here. They don't have to beautify their old buildings to look good for tourists. I mean, it's the true normal Vigan life without the pressure of pleasing the tourists. Take photos of the non-pretentious part of these streets because to be honest, the houses are starting to wear 'make-up', an early process for future tourist-oriented commercial plans. Visit these streets and see the true Vigan local life before they become the next Calle Crisologo (already in the slow process of happening). Plaza Burgos probably made some of the best memories of the childhood of every Bigueño. We go here to watch the popular public events in our town. People gather here to watch the marching band competitions, which later on replaced by comedia, and eventually the numerous showdowns of our five Vigan festivals namely Longganisa Festival, Binatbatan Festival of the Arts, Raniag Festival, World Costume Festival and Solidarity Day Cultural Festival (although Vigan hosts another festival which is under the helm of the provincial government, the Kannawidan Festival, that would be the sixth). The Vigan City fiesta and the Longganisa Festival are the most anticipated events every January. All the festival's nightly events are staged here. We have the balikatan night, education night, talent shows, and balikbayan night to name a few. I miss the Miss Virginia Tobacco here though. It's now defunct. I used to watch it as a child with my family and it was very popular back then. It highlights the tobacco industry of Ilocos. It's also the first beauty pageant I've watched. I've also experienced becoming a performer on the Plaza Burgos grounds surrounded by a thick crowd of locals. I've been a part of the marching band of Ayusan-Paoa Elementary School before and a festival dancer of the Ilocos Sur National High School. I've also tried going to that prestigious stage to receive an award—the same stage where the Miss Universe ladies, American Idol Jasmine Trias, and popular local celebrities performed. I have so much memories here and I'm pretty sure fellow Bigueños have the same beautiful memories like I do whether they are just a part of the crowd or part of the performers. Plaza Burgos made all these memories for us. For tourist, they may view this as a historical landmark named after Padre Burgos but in the eyes of every Bigueño, it's a nostalgia down memory lane. Empanada stalls used to surround Plaza Burgos but they've been all placed in one single location along Jacinto Street in front of McDonald's. Locals also go here to play chess, to attend an 'eyeball' event, and for punk-looking self-tagged emo guys, it's a skateboarding paradise. Saint Paul Metropolitan Cathedral (Vigan Cathedral), locally known as Simbaan-a-Dakkel (literally means 'big church'), has interesting stories to tell. Chinese elements are part of its wholeness because the Chinese (Sangley) settlers of Vigan are said to have helped in its construction. Theories tell that the sculpture of the saints inside the church were done by the Chinese as evidenced by their narrow eyes. The immense Chinese cultural influences are honored during Tres de Mayo where they perform dragon dances, traditional Chinese stage plays (kaw-kah), etc. Take note that these old traditions are performed not for a touristy show. These have been done long before tourists came and it's still alive until now. In fact, this Ilocano-Chinese theater play are not well-known because it's not a show to attract tourists. It's performed as conformity to traditions. Going back to the topic, don't be surprised if you'll see Chinese characters inside the cathedral. This church is not at all the brainchild of the Spanish. One of the greatest events that happened in this church was the declaration of Vigan as a New7Wonder City of the World. I was surprised of the state-of-the art projection and laser show on its façade. Indeed, this cathedral once played a role in world history. If you want to see more historical events in this church, they are all there in Google. For this particular post, I'm giving readers a personal touch of our tourist attractions but there's more stories you need to know about this cathedral. Simbaan-a-Bassit literally means 'small church' in contrast with the bigger Vigan Cathedral. This church plays its main role during the Tres de Mayo de Vigan. The church venerates the Black Nazarene (Apo Lakay). Local stories would tell that the black image cured two plagues that affected Vigan. Its architecture is similar to the mission churches in Mexico and Southern California. It also has a dome. My hometown Vigan is more than just the cultural heritage, we also take pride of our natural heritage. Our beachline is black, rich in magnetite and some claim it is also rich in 'gold dusts' carried downstream by the Abra River from its tributaries in gold-rich provinces of Benguet and Abra. This probably explains why there are occasional (but easy to detect) sand grains that sparkle like a diamond. Locals go to Mindoro Beach every New Year's Day and every Sabado Gloria. It's not your typical white sand beach. Black in. White out. The sand is fine, smooth and coral-free so you don't have to worry for your feet getting hurt. Run all the way, along the shoreline. I've given you some insights about the burnay-making industry in Vigan above through the RG Jar Factory but let's don't treat this next jar factory lightly. This is actually epic. This Jar Factory which is also located in Pagburnayan is owned by no other than a National Folk Artist. If we talk about the right way to make the best Vigan burnays, Fidel Go is the authority. A descendant of early Chinese migrants, Fidel Go is a pillar of Vigan's burnay industry. If you're lucky on the day of your visit, you could witness him doing the art. One of his sons inherited the skill but he would be quick to admit that his dad is still the best burnay-maker in town. His National Folk Artist recognition speaks a lot. You could also try making one with hands on. 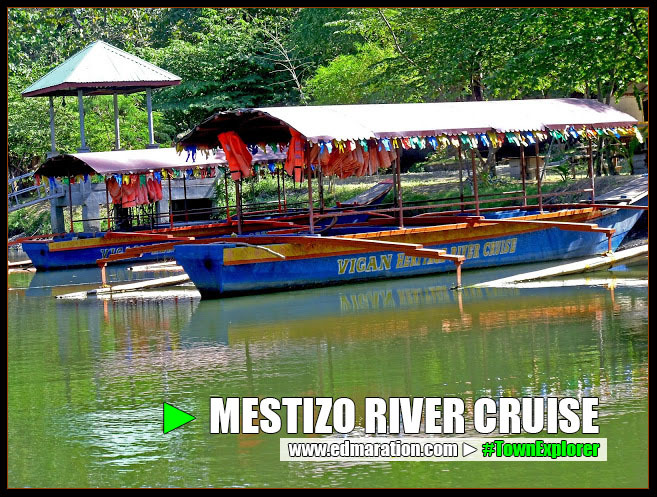 Cruise the Mestizo River and learn the history of Vigan the enjoyable way. On board a boat, an audio guide will narrate the history of Vigan. Giant tableaux were erected along the river as visual guide for the history lesson. It's a fun way to learn history. The cruise dock is located near the Celedonia Garden in Brgy Beddeng Daya. Regular fee is 100 pesos per cruise per head. Discounts apply to students and senior citizens. The Fiesta Carnival opens in the month of January (after New Year's Day). Circus shows, thrilling rides, shopping stalls (known as bargeynan), and food stalls are all here. It's our 'baduy' version of the Enchanted Kingdom but it's full of fun. This Fiesta Carnival is a family destination for every Bigueño. Its last day has the power to paralyze traffic flow around it because of the massive number of people who come here. Whenever you're in Vigan during its fiesta season, join the locals at pagkarnabalan. For us, our Vigan fiesta isn't complete without the pagkarnabalan. The Vigan Dancing Fountain is part of the newly repackaged Plaza Salcedo but it deserves another mention. This dancing fountain is so historical that it's the first of its kind in Northern Luzon, and probably first outside Manila. It was done with sophistication backed-up by fat funds. After its first few days of operation, there was a local rumor that the reason for the alleged sudden hike of household electrical bill in Vigan was due to the operation of the dancing fountain and that the residents have to pay for it. Of course that isn't true. It's a public joke but some had a sad life for believing a myth. The dancing fountain's success is remarkable. It's open for the public every night at 7 PM. Since its opening, it has been a favorite place for viral wedding proposal videos and photos for Filipino and non-Filipino couples. ✈ This post was filed under the category "#TownExplorer Collections." See more posts related to this below. ✈ The insights, condition and name of places or properties I mentioned here are based on the facts and situation on the day of my visit. Take note that you may have a different experience when you try or see the properties or places mentioned here. Names of places and properties may also change by time. ► 08 March 2019: Cover photo changed. ► 04-February-2019: Deleted the phrase "below (the main bridge over Govantes Dike has an arched design)" under the Govantes River section.